How long does the Express Hand Wax Services take? About 30 minutes or less. No appointment is necessary. Our process allows us to provide all the details of the Wheel Deal Wash service plus Hand Wax your vehicle in 30 minutes in most cases. Do I need an Appointment?While an appointment is not required it is recommended. 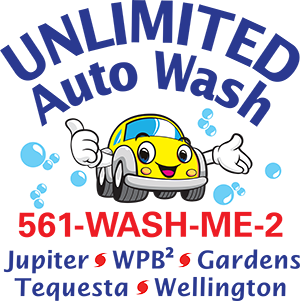 Detailing services may require 2 to 3 hours or more based upon service combinations required. Prices on all vehicles may vary based upon Size and Condition and our detailing services require an in person review by one of our managers. Is it really unlimited? You bet! Come enjoy our 100% Hand Wash service as many times per month as you like. But for privately owned vehicles used for personal use only please. If you have a commercial vehicle contact us about other member programs designed just for you. Ask any one of our team members for a Membership Application, fill it out and give it to one of our Managers or a Cashier at the time of payment. What if I am only here seasonally for 6 months? Give us a call at least 4 days prior to your billing anniversary date and we can cancel your membership until you return for the next season. Is there a discount if I add a second car? Yes, you will save $5 on the second and subsequent cars, if you add the vehicle to your account using the same credit card. Can I add a Truck, Oversized Vehicle or Commercial Vehicle to the Unlimited Club? Oversized Vehicles such as; Excursions, F250/350, dually’s, raised trucks and commercial vehicles or vehicles that are not in factory original and regularly maintained condition are excluded from these plans or may in some cased be accepted but incur a per visit upcharge which may vary at the sole discretion of the manager on duty or accepted at a different price point with similar or additional limitations.